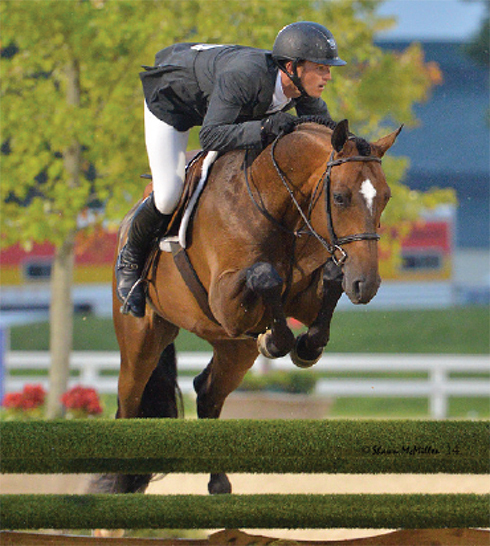 When Phoebe Weseley won the WIHS Adult Hunter Finals on ‘Just Ask Me’ in 2010, and had continued success in that division, she was ready to move up. 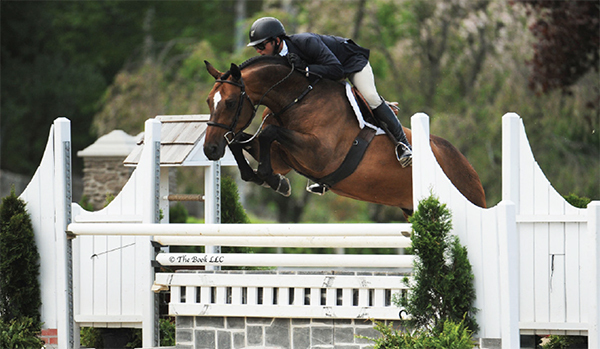 A new 3’3” Amateur-Owner Division would be underway in 2012, so she set out to find a new hunter. The search started, as many do, in Florida to no avail. Later that spring, Phoebe’s veterinarian Dr. Tiffany Marr showed her a video of a gorgeous five-year-old stallion from Germany. He not only looked the part, he seemed to have the talent and scope to do the increasingly popular Hunter Derbies. And so the unbelievable story of Coco began. Dr. Marr reviewed the X-rays, gave a thumbs up and Phoebe decided to purchase the horse, who had been gelded the month before. The day she wired the money, Dr. Marr called. The saga continued. He arrived in quarantine and two days later spiked a fever. So Dr. Marr had him sent to Mid-Atlantic Equine Medical Center, where he had to have a surgical procedure due to a castration gone bad. “I was a bit freaked out. Of course I said okay, what else could I do?” At this point, Phoebe had not even seen the horse. “So I decided to go see him before the surgery. I spent several hours with him, giving him carrots. We bonded. Soon afterwards, Answer Me This (known as Coco in the barn) came home. The strong-willed wonder settled in and was ready to show as a six-year-old in Florida the next winter. When he turned seven, Phoebe and Coco met up with Brady Mitchell, who had been looking for a Derby mount. Peter Pletcher had been showing him, but Peter had hurt his back. Brady took him in his first Derby and was 6th. The rest is hunter history. Coco has a fabulous jump and continues to bring home top prizes in the Amateur classes, with Phoebe in the irons, as well as the Second Years and the Derbies, with Brady Mitchell aboard, from Old Salem to Upperville. He takes supplements to help his stomach but has never had another incident. Phoebe calls him her ox. Currently preparing to compete in the USHJA International Hunter Derby Championship this August, Answer Me This is going places. Full pdf of article available here.